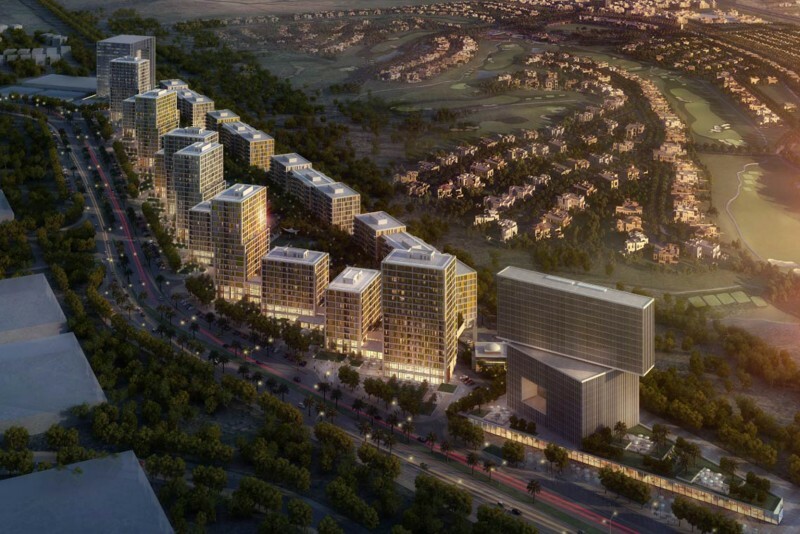 Park Point is a collection of four mid-rise freehold apartment blocks to be developed by Emaar in Dubai Hills Estate. The nine- and ten-storey buildings will contain one-, two- and three-bedroom apartments and some duplex apartments. There are a number of neighbourhoods on the Estate sharing landscaped parks and an 18-hole championship golf course. Amenities already include a modern health club, nature trails, jogging and cycling tracks, children’s play areas, community shopping centres and a neighbourhood mosque. A selection of restaurants, cafés, hotels, medical clinics, spas and salons are all within easy reach. The Park Point project was launched on 15 October 2016 and scheduled for completion in February 2019. One-click links to properties currently on the market in Park Point. • Design/Build Contract awarded to SEIDCO. • Mobilization works commenced on site. • Detailed Design in progress to submit for obtaining the Building Permit.